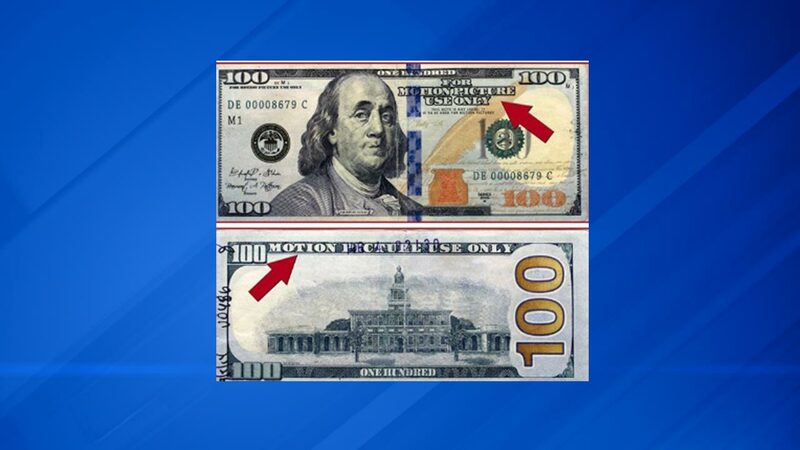 KENOSHA, WI -- Police in Kenosha, Wisconsin have issued a warning about fake $100 bills in circulation. The bills appear to be authentic but do not have the the interior strip and watermarks, police said. The counterfeit bills are marked, "Motion Picture Use Only" on the front and back. Police are asking local merchants to be vigilant for the fake bills.